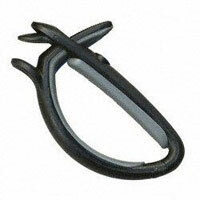 Here is the very first capo that was patented in USA in 1850! The bar is ebony with a leather pad. The springy yoke looks like brass, but is much stiffer like steel. Perhaps it is plated? A brass screw connects the yoke at the bottom through a wooden cylinder. The cylinder is cut off on one side and dressed with thin leather. 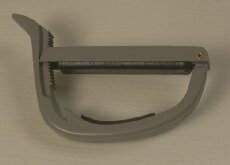 The capo is opened and closed by turning the eccentric cylinder. Stores behind the nut when not in use. James Ashborn of Walcottville, Connecticut. Probably the first capo patent in the world! This may be a first version of the patent. 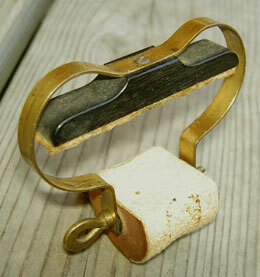 Cast brass with cork pad and leather neck protection. The patent date is stamped or cast on the side of the bar. Patented in US 1889 by Larsen Filstrup (sounds Danish to me). Similar to Filstrup but judging from the sharp edges this one seems to be machined rather than cast. 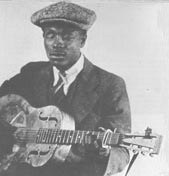 A patent lasts for 25 years and Blind Boy Fuller (picture below) was using an Elton type capo around 1930, so my guess is that this capo was made sometime between 1914 and 1930. For easier production the Filstrup capo was modified. The yoke and bar are stamped out of brass plate. A felt pad protects the back of the neck. The cork pad on the bar is not original. This capo was popular back in the forties and fifties and was marketed by Elton as late as in the 1970's. 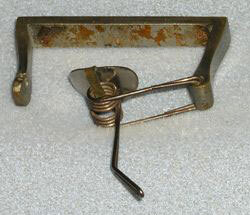 Here is a different attachment of the spring to the yoke and both pads are made of cork. [Owner: Gryphon Stringed Instruments, California.] Blind Boy Fuller using an Elton guitar capo. Here is a simplification of the Elton capo. The frame is a metal strip folded doubel and the thick cork pad is fastened by a piece of thin sheet metal. 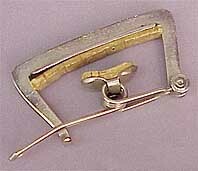 Small capo for 4-stringed instruments. Nickel plated brass bar. A heavy, flat spring is forced to bend around the neck. A real polish remover! German patent in 1973 by Herbert Bauerfeind. 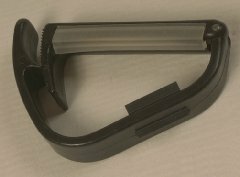 This is the first plastic capo.The pad is placed on one edge of the bar, and covers a set of reeds which are moulded into the bar. The purpose is to make the edge of the bar flexible to adjust to different fretboards and strings. The asymmetrical yoke presses the neck into the corner at the grooved clasp. The springiness of the yoke keeps the clasp together. Similar to Heriba, but details differ. The pad covers the underside of the bar, and the grooves are placed on the inside of the yoke. 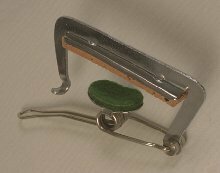 Marketed by SAMWOO MANUFACTURING CO.
A partial capo for fretting either the top or bottom string. Made of spring steel coated with blue or black rubber. Another model holds down two strings. Made in England. Marketed by Woodies.